Two wheeler manufacturer Hero MotoCorp has launched new Splendor PRO on Monday, the company informed in a statement. Priced at Rs 46,850 (ex Delhi), the motorcycle will go on sale at dealerships across the country from today. The retail sales of Hero's new scooter Maestro Edge, unveiled on September 29 and priced at Rs 49,500 (ex Delhi), will also commence from today. Hero MotoCorp has also introduced a variant of Splendor+, which now comes with a 'Self-Start' feature. Further adding to the ongoing festive cheer, Splendor iSmart will now be available in two brand new colours - Black Boon Silver & Black Sports Red - in addition to the existing colours of Sports Red, Leaf Green, Excellent Blue & Heavy Grey. 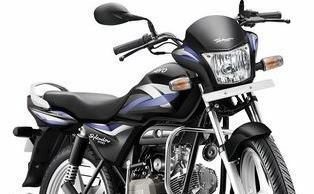 The new Splendor PRO comes with air-cooled 4 Stroke Single Cylinder APDV engine. The engine delivers maximum power of 8.36 Ps @ 8000 rpm and maximum torque of 8.05 Nm @ 5000 rpm. Some other features include - four speed gear-box, adjustable rear suspension, 18-inch wheels, windshield visor with headlamps and clear lens winkers, and a new tri-set cockpit meter console with side stand indicator. The motorcycle is available in eight colors - Black Purple, Heavy Grey, Cloud Silver, Candy Blazing Red, Palace Maroon, Black Monotone and two new colors - Shield Gold and Black Red.